I did not have personal experience with a cesarean because my two children were born vaginally. Admittedly, when I became a birth doula, I was intimidated about supporting a woman through one. After a year or two, our local Birthing From Within mentor created a class called Spiritual Cesarean and offered it to birth doulas. In the class, she explained what happens during surgery, led them through a role play of what happens during a cesarean, explained how a doula can help prepare mom and partner, and described ways to support couples throughout the process. Taking this class was an eye-opening experience, one that took away the clinical aspects of cesareans and humanized the process. After having learned about cesareans in training and ways to educate women about alternatives, here was some instruction to get everyone through an actual surgery - mom, dad, and doula - compassionately and focused on love. I recently came acrosss a Facebook group thread from a doula who asked about supporting families through a cesarean, and it reminded me about the Spiritual Cesarean class and about the article below. 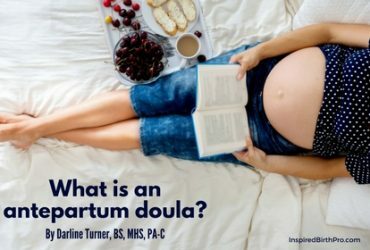 I received permission from Birthing from Within to reprint this article to help give doulas and families a compassionate perspective about cesareans. Many in our field are familiar with the phrase, "It's not our body and it's not our birth," and we have to meet women where they are. Many birth professionals are able to do this beautifully. Others, like me, benefit from reading articles like these to see a different perspective of a variety of births so we can approach clients in these situations with more compassion and understanding. I hope you will find this helpful too. C-section. Cesarean Birth. The very words are enough to ignite passions and emotions. Relief. Loss. Life. Endings. Beginnings. Giving up and giving in. Often lost in the current debate about cesareans is the individual pregnant woman, who is preparing to give birth in a culture that alternately glorifies and vilifies both medical technology AND individual power and choice. We have learned about cesareans by participating and witnessing in them, and more importantly, by listening to mothers and fathers who have first-hand experience. They share what they wished they’d known before entering the operating room (O.R. ), and what was most helpful to them throughout the experience. We’d like to pass on what we’ve learned. First and foremost, the birth of a baby is also the birth of a mother. Because she herself is being born as a mother, what is really needed is love, support and compassion for her and her journey, no matter what that journey looks like. Some women know in advance that they will have a cesarean, for medical or other reasons, and they have some time to prepare practically, mentally, emotionally, even spiritually. For others, it comes as a surprise, with little time to adjust to the reality of major surgery AND the simultaneous birth of her child. No matter what kind of birth she plans, no matter what ideas a woman may hold about birthing, part of her preparation is learning about cesareans. This does not mean she is only learning about how to be a patient, or how to prevent things from “going wrong.” She also learns how to open to all the possibilities of birth, and to be completely present and filled with love as her birth is unfolding. In our Birthing From Within childbirth classes, we help parents understand what to expect so that they can better prepare themselves to cope if a cesarean occurs. We focus not only on the medical part of the event, but also the emotional and spiritual aspects. If a cesarean becomes part of the birth of her baby, the mother and her birth partner may feel afraid, confused, or relieved. Perhaps there is concern about the well-being of the mother or baby, perhaps labor has been long and exhausting, perhaps this is the last thing anyone wanted. Understandably, there is a range of emotional responses. Along with joy at the imminent arrival of baby may sit disappointment or fear. To prepare for the cesarean, the mother and her partner will be separated, as the mother goes to the O.R. She will cross the threshold first, while her partner waits and gets changed in another room. The mother may need to close her eyes, focus on her breath, and connect emotionally with her baby. She may feel comfort in reminding herself that she is doing the best she can and that soon she will greet her baby. The O.R. is cold, brightly lit and usually filled with noises, such as beeping machines, clattering instruments and people talking. There are about six birth attendants in the room with her, dressed in special gowns, hats, and masks. Her partner wears similar attire. The mother receives an intravenous drip (I.V.) to provide her with fluids, and other medications as necessary. An anesthesiologist, who sits close by her head, gives the mother spinal or epidural anesthesia in her back, so she will be awake for her birth and won't be able to feel pain. Before surgery begins, she lies down on a narrow table with her arms outstretched on armrests, keeping them away from the sterile surgical area. The mother may notice that she, and then her baby, are the only ones in the O.R. who are without a mask covering their mouth and nose. An O.R. is specially prepared for this event: the birth of a baby (and mother). Only certain people wearing special clothing and coverings may cross the threshold. In this way, it could be considered a sacred space, appropriate considering the profound event taking place within its walls. As the mother awaits the birth of her baby, she may notice the bright lights shining down on her and beeps and buzzes around her. Some mothers chatter, while others are very quiet. Some women shake uncontrollably. Some cry. Some even feel nauseous, disoriented or throw up. All of these reactions are a normal part of any birth, whether cesarean or vaginal. About ten minutes after beginning the surgery, the baby is born. The mother may feel her body rocked or tugged as the baby emerges. Since she cannot physically push her baby out, a mother can find power and connection in bringing her baby into the world with internal love and strength. Often the doctors will hold the newborn baby up, so the parents can see their baby over the drape. Mother can take in this moment and hold it inside of her, connecting with and “drinking in” her little one. She can imprint her impression of her baby and carry it with her while they are separated for a while. The staff may allow a moment of silence, a song, or a prayer to be said just after the birth. After birth, the baby is brought by a nurse to a warming unit to be dried off and assessed. A woman who has just given birth has a deep need to connect to her baby. Partners can be the physical connection between mother and baby, talking with and moving between the two of them mindfully. The mother can connect spiritually to baby, if the time is right for her, sending a rainbow of love and heart-connection to her little one. 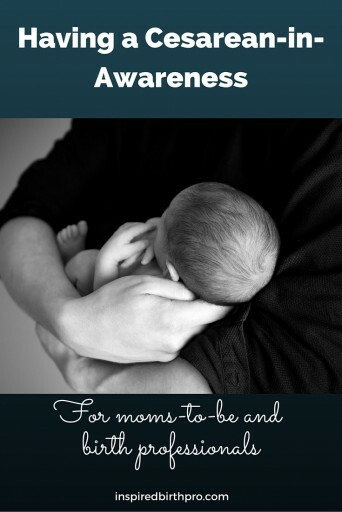 Sometimes a mom is tired or overwhelmed, so stays focused inside herself for a while, listening with her eyes closed. As the doctors put together that which was opened to allow a woman to birth by cesarean, the mother can remember that her body is already beginning to heal. Strong muscles that have cradled her baby for months are mending themselves. Tiny blood vessels are forging new connections with each other, without guidance or direction from anyone. About an hour after beginning, the doctors are finished their work. The mother is brought to a different area to recover from surgery. Practices vary greatly at different hospitals, so women can ask their doctor about policies and common practices. Some hospitals allow a second support person or doula to be present. Other possibilities are: cameras, iPod with earbuds, or dimming some of the lights. If mother and baby have been separated physically (for whatever reason) this may be the time when they are reunited. A mother or her partner may ask to have the baby skin-to-skin with them. Skin-to-skin contact, especially between a newborn and mother is wonderful for all sorts of scientific, spiritual, and emotional reasons. The essence of birth preparation is seeing, hearing and feeling how you will cope with the intensity that birth (and parenting!) bring. Setting an intention to be present and loving, no matter how YOUR birth happens, is what birthing from within is all about. Virginia Bobro is a Certified Birthing From Within Mentor, Doula, Advisor, and Senior Workshop Facilitator, as well as a co-owner of Birthing From Within (with Pam England) since 2008. She has also been an IBCLC (Lactation Consultant) since 2002 and a La Leche League Leader (off and on) since 1999. Virginia lives and works in Santa Barbara, California, and has three teenagers, including identical twins. As the primary trainer for Birthing From Within, Virginia has taught and supported thousands of birth professionals all over the world. Her passion for and commitment to Birthing From Within's unique and powerful approach shines through every endeavor. Donna Moore is the mother of three grown children, a Certified BFW Mentor, and an Obstetrical nurse in Manchester, New Hampshire. 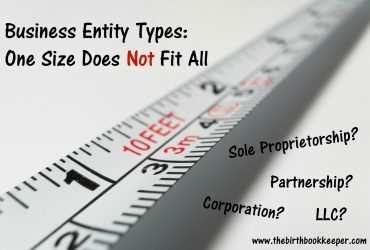 This article was published in Birthing From Within's November 2007 newsletter, and the December 2007 issue of Wet Set Gazette (a bi-monthly publication for parents in Los Angeles). This article was republished with permission from BIRTHING FROM WITHIN®. "First and foremost, the birth of a baby is also the birth of a mother. Because she herself is being born as a mother, what is really needed is love, support and compassion for her and her journey, no matter what that journey looks like." I know, right? This is one of the reasons I loved this article too! Resource – Hypnobabies Hypnosis MP3s for Pregnancy, Birth, Postpartum, and Birth Professionals Too!